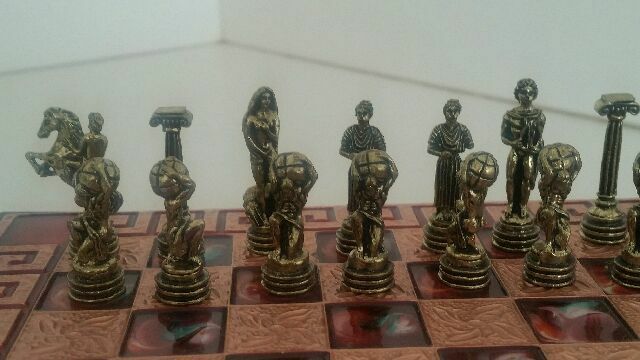 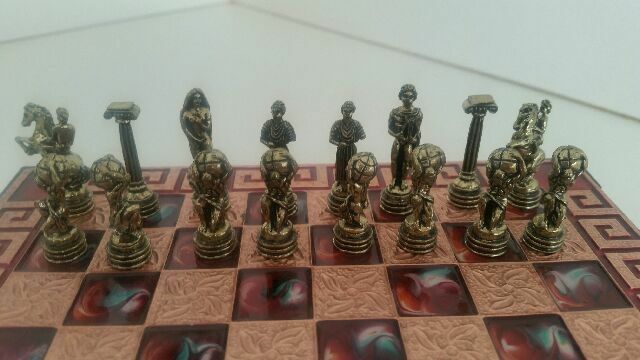 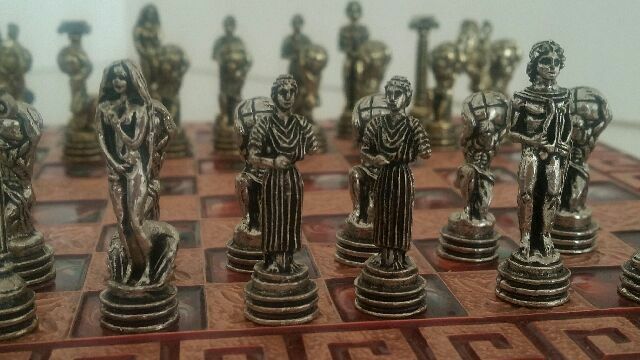 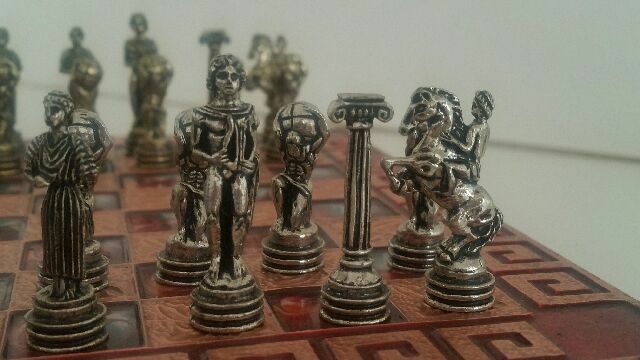 This beautiful Greek chess set depicts some important Greek mythological characters. 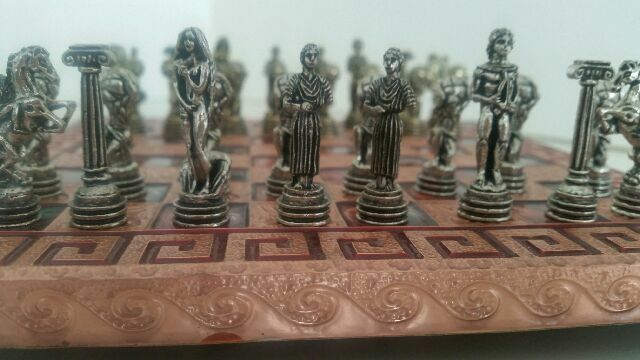 The chessboard is very decoratively embellished on the figures and also at the edges. 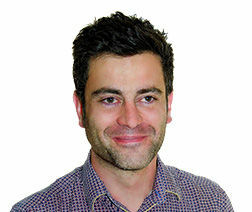 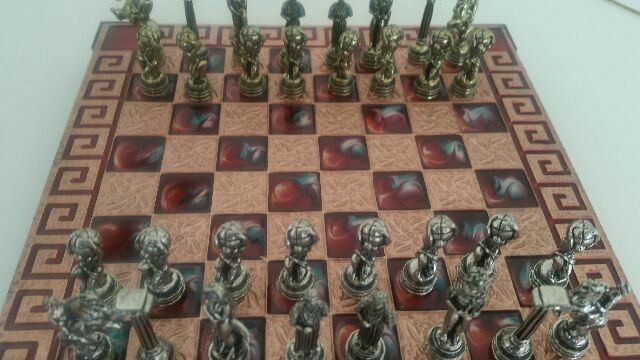 It stands on four small legs and is in good condition. 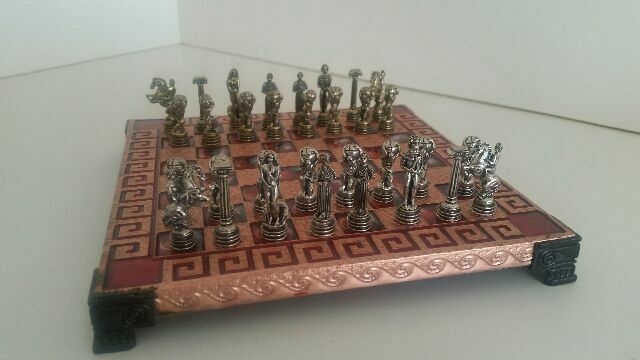 Board and pieces are made in Greece. 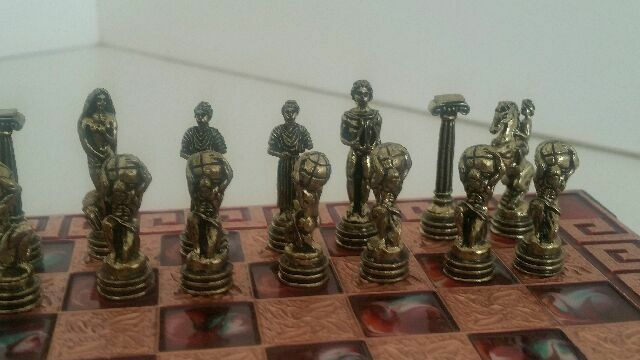 Everything is in very good condition. 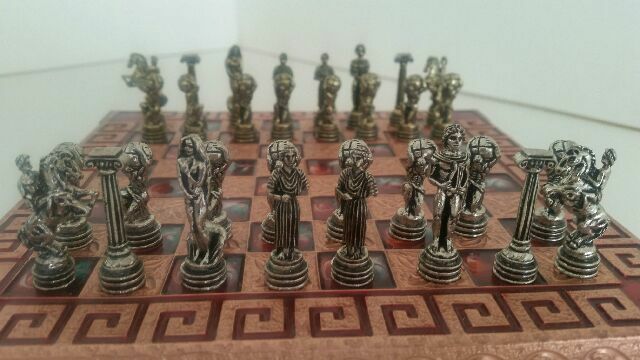 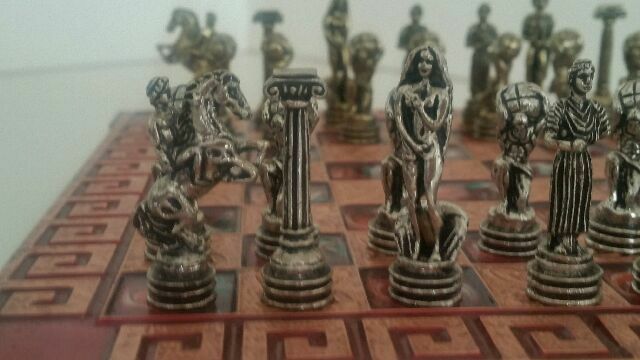 The chess pieces are made of metal in my opinion. 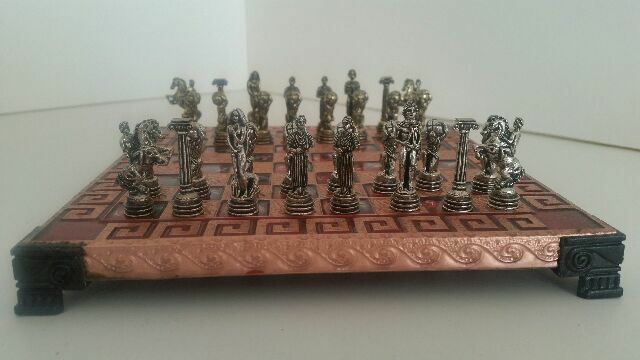 The size of the board is 20x20 cm and the tallest piece is approx. 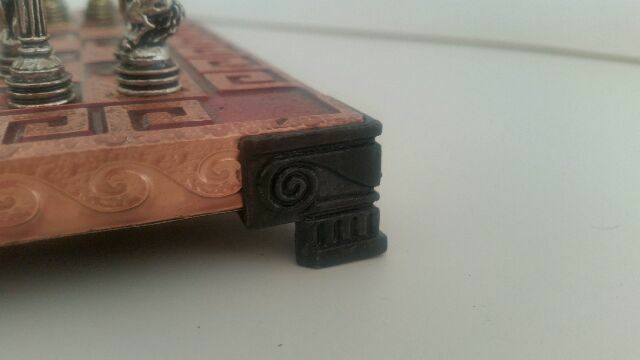 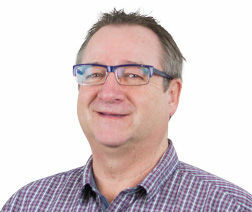 4.5 cm.